Gal Gadot is already ahead of the curve when it comes to playing Wonder Woman. 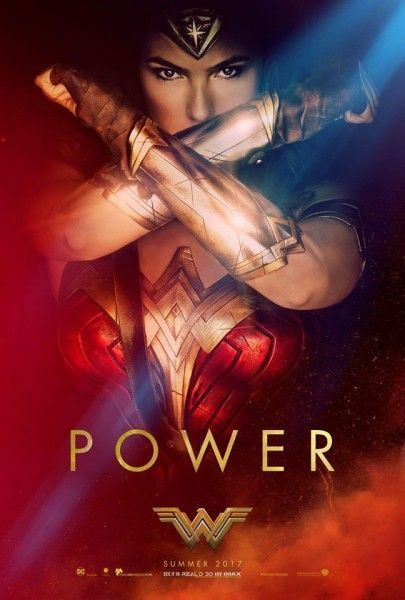 While Batman v Superman received a critical drubbing, Gadot’s performance as the Amazonian superhero was warmly greeted by the fans who felt that she perfectly embodied the character they had been waiting to see on the big screen for the decades. While her presence in Batman v Superman was a mere snapshot of the character, she carried the role well and left fans wanting to see more. So, what is the best thing about getting to play Wonder Woman? GAL GADOT: Not that. [laughter] The best part? Somehow I think that I always wished to play Wonder Woman, without even knowing it myself. 8 years ago, when I just became an actress, I used to travel to Los Angeles and take general meetings with different producers, writers, directors, and they kept on asking me the same question over and over again, “What’s your dream role?” And I kept on saying, I’m open to all genres as long as the story is interesting enough, but if you’re really asking what would I like to do, is to show the stronger side of women, because I feel that there’s not enough stories being told about strong women, and independent women, and little did I know that five years later, I’d land the part. What’s the most challenging thing, and feel free to say running on a treadmill forever. GADOT: We were just talking about it this morning, because we’re going through some very, very intensive weeks. Patty was just saying, they’re really, really testing to see if you’re the true, real Wonder Woman, because they decided to shoot the movie in London, which is fantastic, in the winter, which is less amazing, while I wear, while we shoot outside, nights, days, two weeks of night coming up, wearing a very short piece of rubber, running, jumping, needing to fight, with all that. So, it’s, the physicality of it is really challenging, but I like it. I enjoy it. It makes me happy after I do it right, but I really, really love Diana. I love everything about her. I love the story. She has a heart of a human being, powers of goddess and a very wise brain. So, I, she’s everything. I love her. Who’s your favorite character other than yourself. Who’s your favorite character so far? GADOT: The main one is Steve, and I really, really enjoy working with Chris. He’s a great partner, funny, we have lots of laughs on set, and I think that his character, in comparison to Diana’s character, they’re very much, yin and yang. He’s this realistic guy, who’s been through a lot, and he knows what mankind is capable of doing, and Diana is this young idealist, who thinks that the world is very white, very pure, mankind are only good, and there’s something in their, you know, once they get to know each other, he teaches her so much about reality and mankind, and she brings back hope to his life.